Angelo, TX, his spirit ascended to Heaven on April 10, 2019. Born to Ralph Bertrand Hollway and Helen Wilcott Hollway on September 29, 1934, in Kansas City, MO., RJ came to Texas when he was 6 years old, accompanied by his parents, sisters LouAnn and Barbara, and brother Bob. A member of the Citizen Potawatomi Nation, Ralph was proud of his Indian heritage on his dad's side, and German heritage on his mother's side. Ralph's formal education began at Immaculate Conception Academy and continued through San Angelo High School and San Angelo Jr. College. During his school years he proudly achieved the Order of the Arrow and Eagle Scout ranking in Boy Scouts of America. Ralph began his career in the Life Insurance business when he was 23 and remained active in that pursuit until his death at the age of 84. He was highly regarded among his peers and known for his integrity and dedication to the best interests of every client, always. Along the way he was involved in American Council of Life Underwriters, and San Angelo Assoc. of Life Underwriters where he served in every office including president and was twice Life Underwriter of the Year. 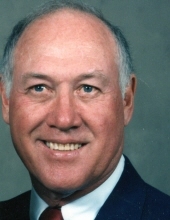 Ralph was a Million Dollar Round Table Life Member; Texas Leaders Round Table, six years; National Quality Award four years; a member of San Angelo Estate Planning Council. He won the Life Ins. Industry National Sales Award several times. He was a Chartered Life Underwriter and Life Underwriter Training Council Fellow. In the Jaycees Ralph was elected Jaycee of the Year, Speak Up Winner, Key Man, President and Life Member. He was, at one time or another, a Director of or in some way affiliated with virtually every civic organization in San Angelo, too many to name all. He served one term on the City Commission. AKA Pop, Dad, Grampa, Uncle Ralph or Uncle Giraffe, and RJ, he was so proud of all the boys and the fine men they grew up to be. He loved the grands and great grands, nieces and nephews. He relished each accomplishment, enjoyed gathering a load of the younger ones for an occasional spin in the golf cart, being with the older ones on the dove lease, teaching anyone who would listen how to do something. He was determined to leave the boys with good tools and know-how. R J played golf for about 60 years, and he loved all his hunting adventures and the friends accrued along the way in both pursuits. In later years he became an avid reader, partial to biographies, history, and action/thriller novels. He could repair just about anything that needed it around the house, and he was a meticulous builder of wood furniture. He was the best dance partner a girl could ever wish for. Ralph J. Hollway and Jane Wiley were married in San Angelo in 1955, and were blessed with four sons: Ralph Jay, II; Wiley Kevin, Michael Stephen and Travis Scott. Ralph and Janice Crain Causey were married in 1980 and life began again with 2 more sons, Justin Steven and James Jason Causey. Preceding in death are Ralph's parents, his sister Barbara and brother Bob; son Mike, step-son Jason, grandchildren Kristi and Brett; mother of his sons, Jane. Also preceding in death are sister-in-law Jean Guthrie, brothers-in-law Norman Croy, Roy Hubbartt, Jim Guthrie and Jay White. Surviving are wife JC, sons Jay, Kevin (Chris), and Justin, all of San Angelo; son Scott (Inocencia), of Kerrville, 6 grandchildren, 2 step-grandsons; 8 great-grandchildren, 6 step-great grandchildren. Also surviving is sister LouAnn Croy of West Linn, OR; sisters-in-law Lexie Hollway and Sue White, brothers-in­ law Kenneth Crain and Richard Crain; many nieces and nephews. A Christian of strong faith who continued in diligent study of God's Word through his last days, Ralph was a member of Southland Baptist Church for 30+ years. A Memorial Service will be held there at 2PM on April 13, 2019, led by Rev. Chris Curran and Rev. Jill Fulghum. Special thanks to Kindred Hospice and our angels Angela and Samantha. They and all the others at Kindred, and the associated personnel, tended to Ralph with love, kindness and respect. Thanks also to the many who visited, sent cards, brought substance and sustenance, and prayed. Grace was showered on us day after day, sometimes in the form of peppermint ice cream. Careful attention was paid to smallest needs. Memorial donations made to the organization or charity of your choice are welcome. "Email Address" would like to share the life celebration of Ralph Jay Hollway. Click on the "link" to go to share a favorite memory or leave a condolence message for the family.